John Thaw takes the first starring role of his career in REDCAP, playing Sergeant John Mann of the Royal Military Police’s Special Investigation Branch. 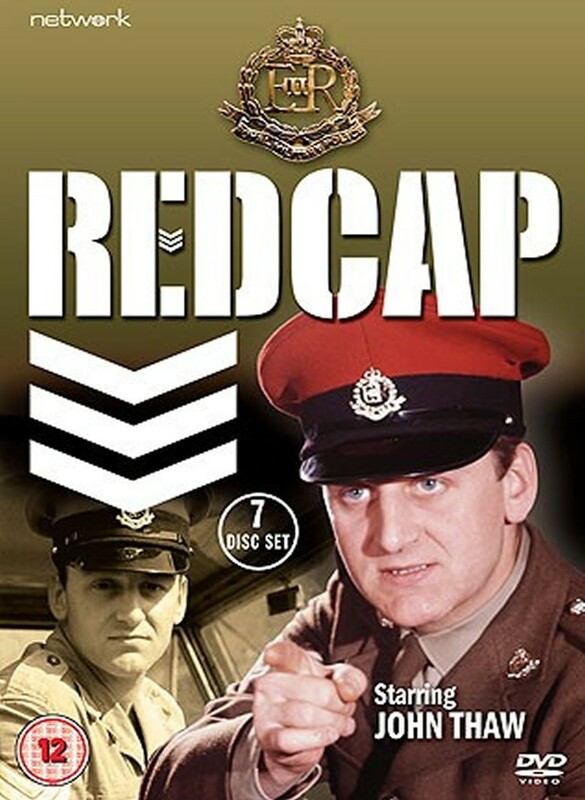 Made in the mid 1960s at a time when the British Army was still highly active, Redcap’s stories cover investigations in Germany, Malaysia, Cyprus and Borneo and feature guest stars of the calibre of George Sewell, Peter Bowles, Edward Fox and Brian Cox. Not seen since its original transmission, this set contains the complete first series and the surviving ten episodes of the second series, featuring scripts from both Troy Kennedy Martin (The Sweeney, Z Cars) and Julian Bond (The Saint, Ruth Rendell Mysteries). • Strictly by the Book: The surviving twelve minutes of this missing episode, recovered from an engineer’s test reel of film.